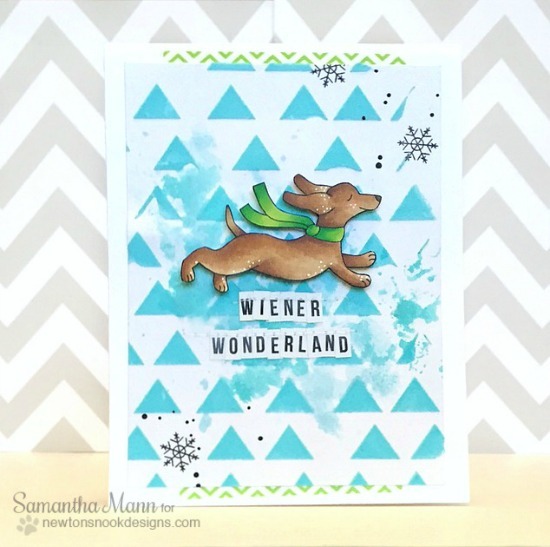 Here is a fun and silly card by Samantha Mann using our adorable dachshund from the Holiday Hounds stamp set. I love how she colored the cute doxie and then added in some white dot details. I also love the handmade sentiment "wiener wonderland" - it makes me smile! Samantha also added in a fun geometric background and some snowflakes from the Fox Hollow stamp set in black! I love how fun and modern this looks! Thanks, Samantha for making us laugh today! For more details on her project and to see what else she's creating, you can visit Samantha's Blog, Sam's Scrap Candy! Love this card--so cute and funny! Oh my..how adorable is this pup, sporting his sweet scarf and dashing through the snow! Toooo cute! A skinny frame is not pleasing to the eyes, especially for boys. Women like their men to look strong and a set of ripped muscles induces awe and admiration. Weight training is one way to build muscle mass, the other is right nutrition. However, if you are looking to gain muscle within a short time frame for instance, if you have a modelling assignment coming up, you might need a quicker solution. So cute! The sentiment is just perfect lol!